SIGG Hot & Cold ONE adds to the existing SIGG Hot & Cold collection. Proved double-walled insulation of our SIGG Hot & Cold offering, combined with easy-to-use one hand opening, makes the SIGG Hot & Cold ONE a true on-the-go companion. 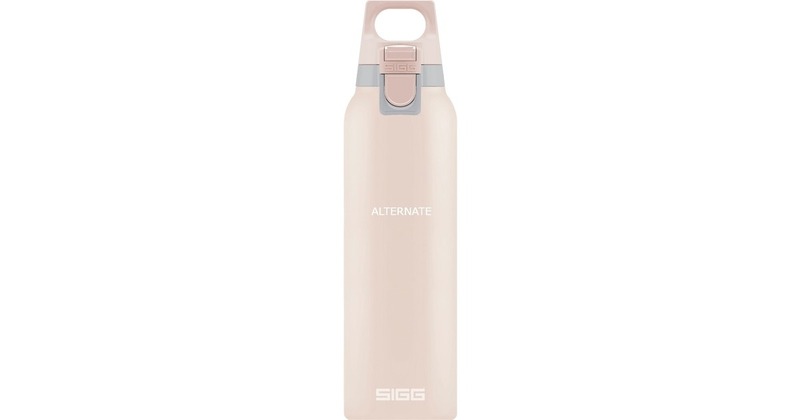 The top is inspired by SIGG’s iconic shape and designed for esthetes on-the-go. It allows easy drinking on the train, in the car and in urban life situations – safely locked after use. This bottles keeps your drink 12 hours hot and 20 hours cold.